RITA D'ARCANGELO graduated with distinction from the Conservatorio di Musica in Pescara, studying with Sandro Carbone. She holds postgraduate degrees from the RNCM in Manchester, the Civica Scuola in Milan where she studied with Raffaele Trevisani and the Hochschule in Mannheim, where she studied with Jean‐Michel Tanguy. She had the privilege to attend the first Italian Masterclass of Sir James Galway. Since then she attended Sir James Galway’s masterclasses in Italy and Switzerland; in Weggis 2008 she was awarded the Marc Rich Foundation Scholarship and a 14K Gold Nagahara Flute Headjoint as First Prize awarded by popular vote. She is prizewinner of several International Competitions and she gave her solo debut at Carnegie Hall in October 2011. She has worked as Principal Flute with HPAC Orchestra in Japan under the artistic direction of Yutaka Sado, as guest Principal Flute with the Osaka Philharmonic Orchestra, and Principal Flute with the Filharmonia Gorzowska, United Chamber Orchestra and Kammersolisten der Deutsche Oper Berlin. As soloist, D’Arcangelo has recorded for the radios SR2, SWR, NHK and Vatican Radio. She was invited to perform Mozart’s Concerto K314 for the opening of the Mozart Year 2006, in the city of Mannheim. Among her solo performances, she has performed Rodrigo’s Concierto Pastoral in Germany, Poland and Japan, and premiered it in Slovenia, where she was broadcasted on the National Television. She has given masterclasses in Japan, Italy, Malta, South Korea, Poland, Slovenia, Spain and USA. 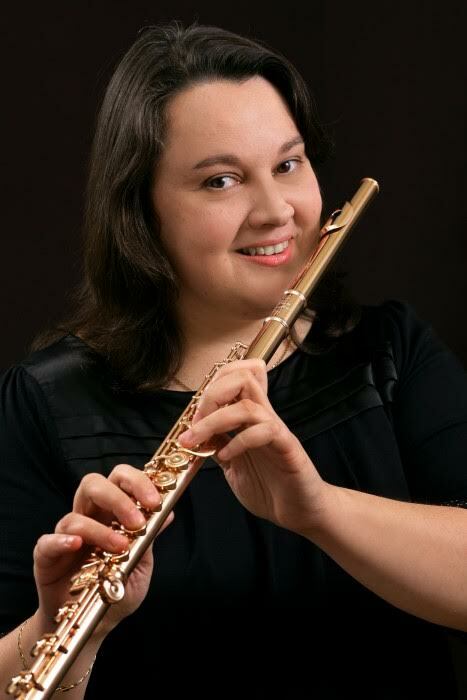 Currently she is Flute Lecturer at the Music Department of the State University BTU-Cottbus in Germany and plays internationally as soloist and chamber musician. Her double CD “Allegro con Brio” won the “Award of Excellence” for the “Instrumental Performance Solo” category at the Global Music Awards in USA. In March 2016 the CD “A Virtuoso Journey” won the Gold Medals for the categories “Instrumental Performance Solo” and “Classical” at the Global Musical Awards. Rita D’Arcangelo plays a 14K all gold Nagahara Flute, wonderfully handmade for her by Kanichi Nagahara.